Blade angle:Input thickness and material code, controller will adjust automatically. Blade gap:Input thickness, controller will adjust automatically. Blade stroke:Input shearing length, controller will calculate descending stroke. Four materials:Thickness of steel plate, stainless plate, copper plate and aluminum plate can be calculated automatically from 0.1 to 99.9mm. Total storage:100 operations. One program can store 25 operations, each operation can be repeated for 9999 times. Controller will calculate pressing pressure and the angle of upper blade according to different plate and thickness. With programmable hydraulic circuit, the blade and shearing gap can be automatically adjusted through hydraulic cylinder. The shear edge is burr free and precise. 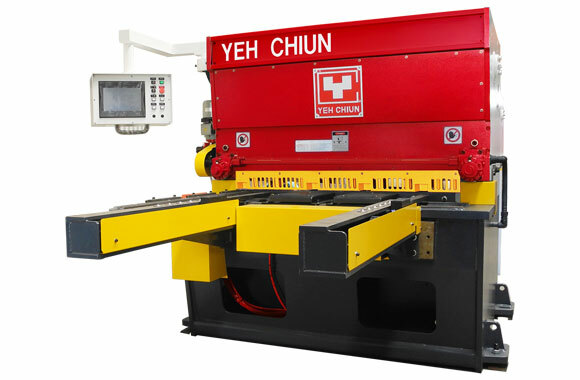 The computer will, with the input plate thickness, automatically calculate the output tonnage of hold-down cylinders and hydraulic cylinder to ensure smooth shear. 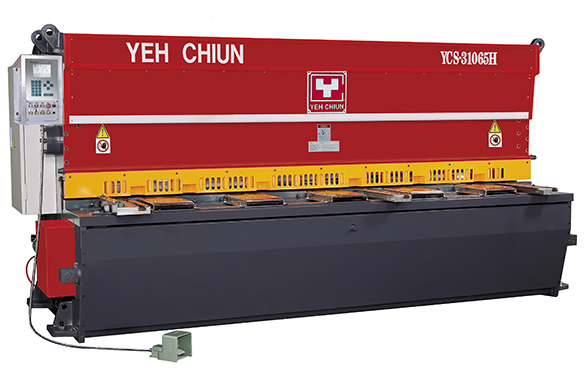 The shear body and blade base are made of SS400 steel plates and the internal stress is eliminated by annealing which assures the rigidity of the structure. Control functions are integrated in the front side of the shear for the ease of operations. Overload protection ensures the safety of the shear and the operator. Back gauge is driven by servomotor and precision ball screw for accurate positioning. 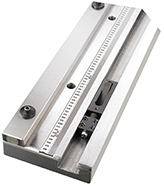 Back gauge linear slide is overhang by accurate guide. Pre-retreat of back gauge to avoid collision with the thick plate being sheared. The controller maintains functional in the environment of high-voltage electromagnetism.